Fun and lightweight, these boho beaded earrings are unique and have nice faceted African Turquoise (a speckled form of Jasper stone) beads for lots of color. 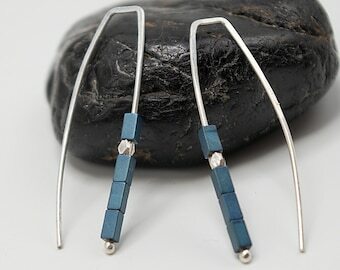 Different colored TINY 3-4mm faceted AAA quality African Turquoise beads add a unique look to these sterling silver threader earrings. 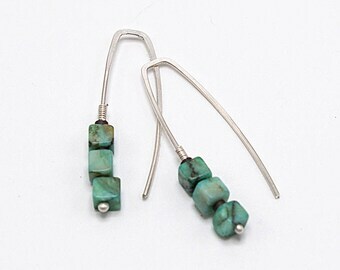 The bead colors range from turquoise blue to a green and have different variations with browns and blacks. Some pretty sterling Bali style beads for accent. 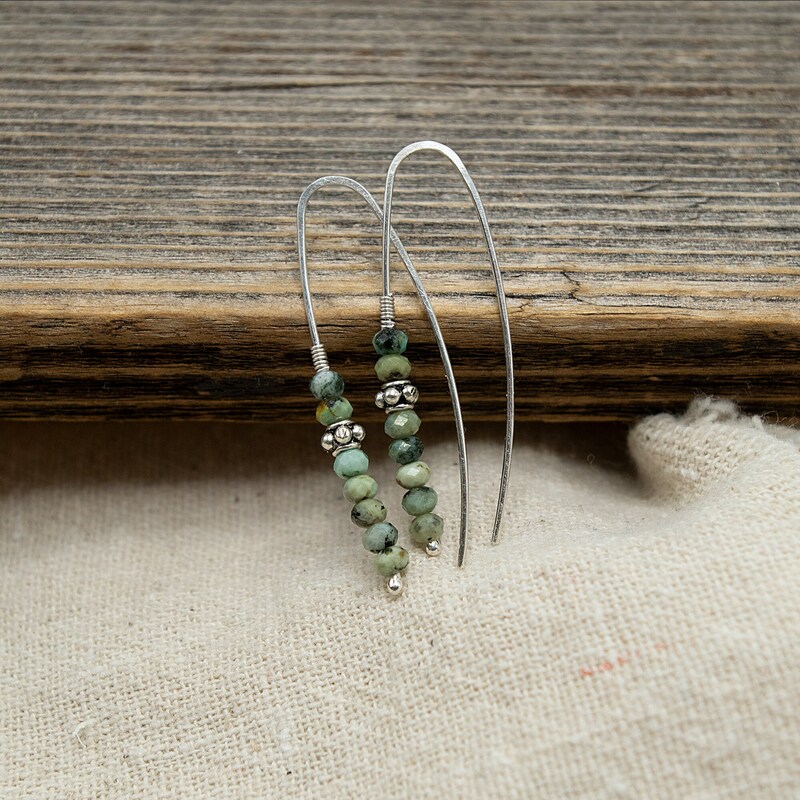 These earrings are lightweight and very dainty. 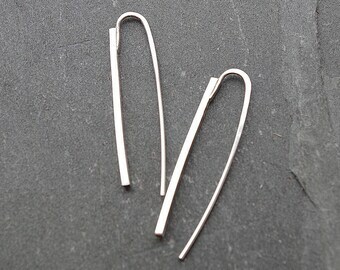 They measure 1 1/2" in length. 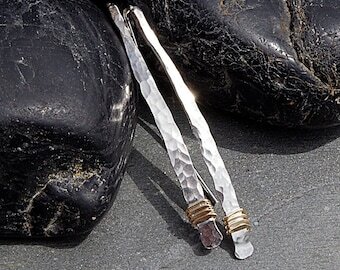 I include rubber earwire stoppers to put on the back wire for a secure fit. 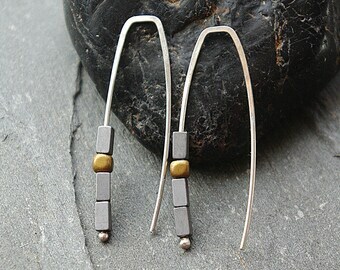 These earrings will arrive in a gift box with a pretty ribbon. Lovely handmade earrings, got them for my picky 18 old and she loves them. Also I guess her friends rave about them as well! Will be looking for rings next once she figure out finger size! 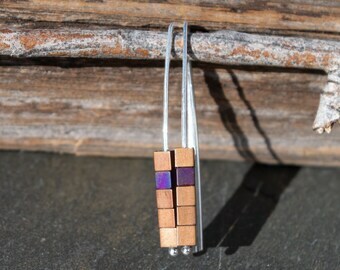 lovely earrings with such gorgeous colors! 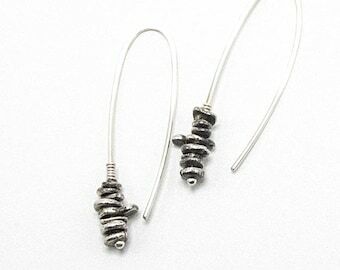 Beautiful earrings, well made. 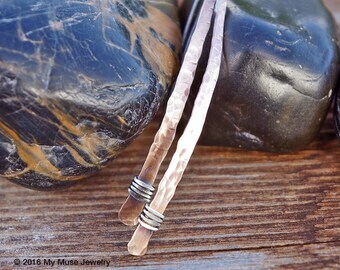 Love everything I’ve gotten from Mymuse!